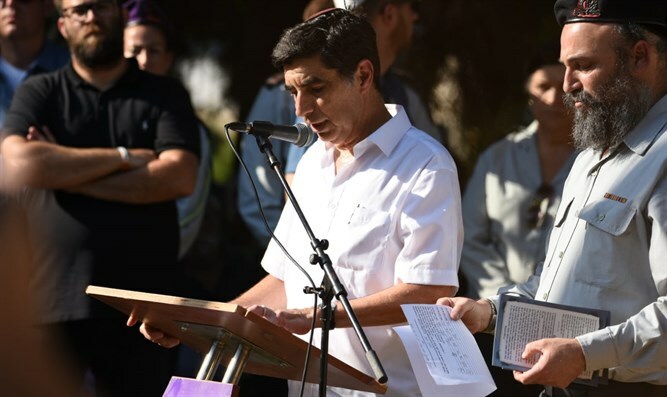 At Kfar Saba military cemetery hundreds attend annual memorial ceremony for Hadar Goldin, still in Hamas captivity. At the Kfar Sava military cemetery the annual memorial service for the deputy of Hadar Goldin, still in the hands of the Hamas terror organization, is being held at this time. Hundreds are taking part in the memorial ceremony including Education Minister Naftali Bennett, senior IDF officers and Hadar's friends.